The Kansai Thru pass is the ideal way to discover more of Japan's Kansai region and take in a number of the area's most interesting cities. This flexible all-inclusive ticket enables you to ride on subways, railways, and buses throughout the Kansai district with coverage expanding to Osaka, Kobe, Kyoto, and more. 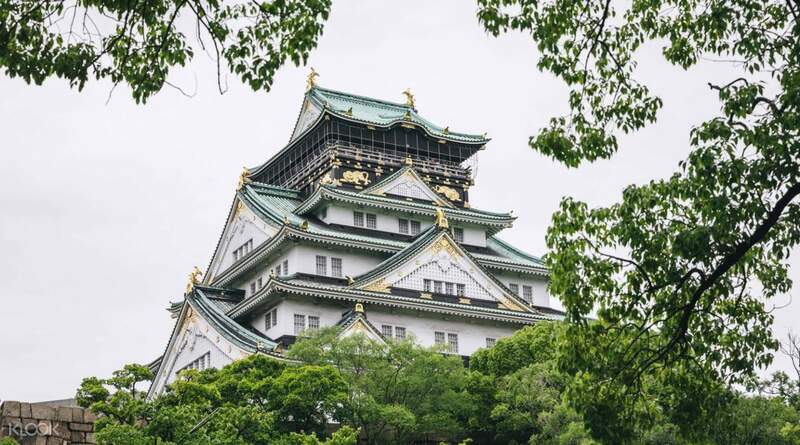 What's more, the pass enables you to tour Osaka, Kobe, and Kyoto, as well as the lesser known, but equally interesting cities of Nara, Wakayama, and Koyasan. 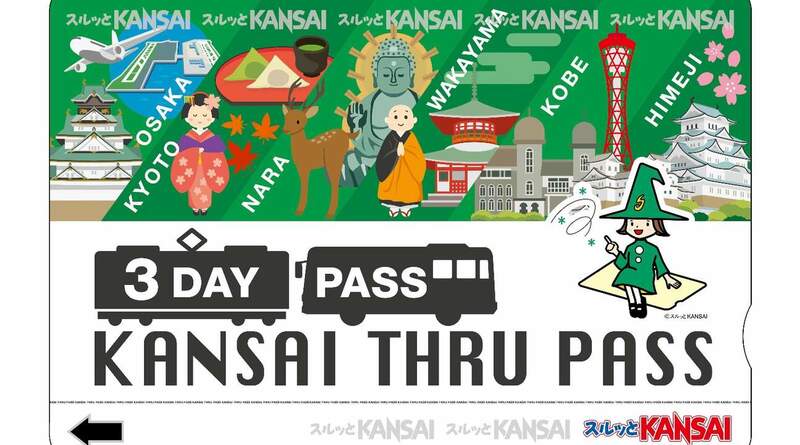 With two ticket types—the 2 day and 3 day pass—the Kansai Thru Pass offers excellent value for money, and with the added flexibility of using the pass on non-consecutive days during its period of validity, the Kansai Thru Pass allows you to create your own Japan experience at your own desired pace. Very easy to use, got me to explore so many incredible places in Japan as well as use for going to around with not just the trains, but the buses as well! 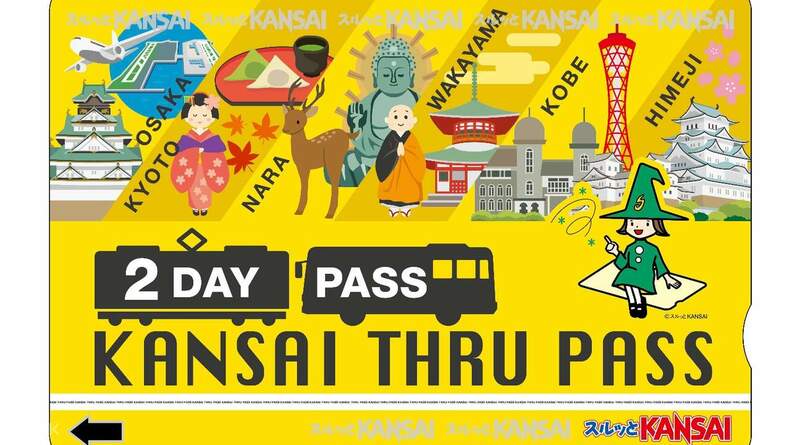 This pass will get you access to some of the most popular places in the kansai area like osaka, kyoto and nara! Highly recommend for everyone to get! Very easy to use, got me to explore so many incredible places in Japan as well as use for going to around with not just the trains, but the buses as well! This pass will get you access to some of the most popular places in the kansai area like osaka, kyoto and nara! Highly recommend for everyone to get! Very easy and convenient! Just purchaser voucher from Klook and exchange for OAP ticket at H.I.S counter at KIX, or at OCAT JR Namba (just follow Namba walk to the end). The pass itself is very useful and convenient. We can travel through Kansai area easily. Love it! Very easy and convenient! Just purchaser voucher from Klook and exchange for OAP ticket at H.I.S counter at KIX, or at OCAT JR Namba (just follow Namba walk to the end). The pass itself is very useful and convenient. We can travel through Kansai area easily. Love it! Redemption at Kansai Airport was convenient and HIS counter was easy to find. Just redeem voucher and bring to Nankai exchange counter for Nankai train ticket with 1day subway pass. 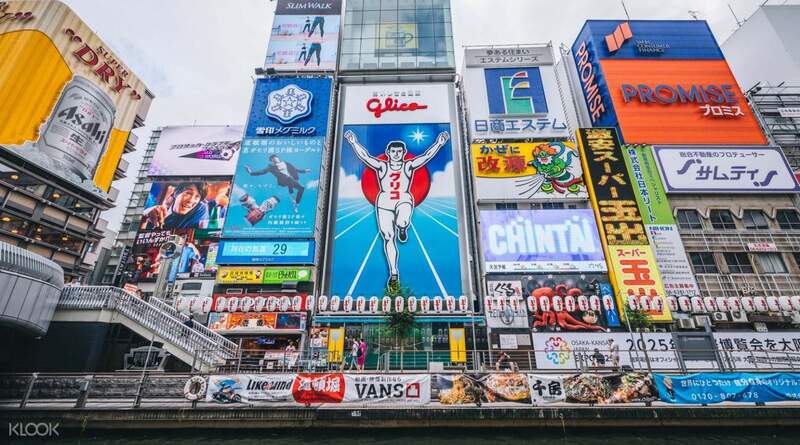 The right choice to start your trip in Osaka. Redemption at Kansai Airport was convenient and HIS counter was easy to find. Just redeem voucher and bring to Nankai exchange counter for Nankai train ticket with 1day subway pass. 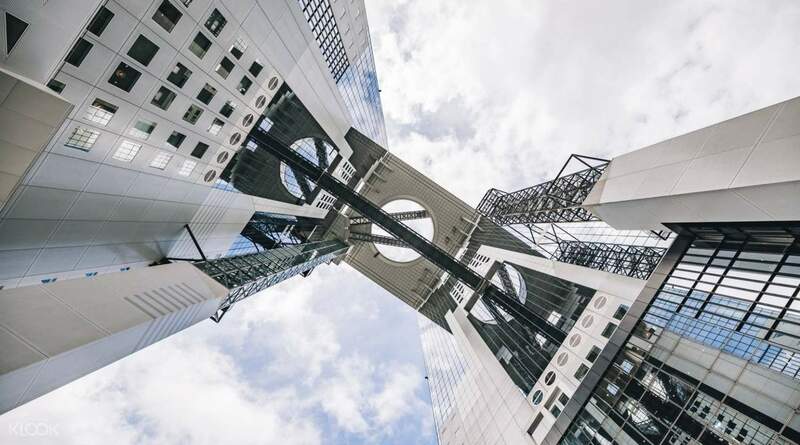 The right choice to start your trip in Osaka. A great way to explore nearby prefectures in the Kansai region. No need to buy separate tickets for each trip. It also includes city buses so no need to worry if there is no subway in your intended destination. A great way to explore nearby prefectures in the Kansai region. No need to buy separate tickets for each trip. It also includes city buses so no need to worry if there is no subway in your intended destination. I never thought that using Kansai Thru Pass was this easy. I do recommend this for my fellow traveller like me. It can easily used in Kansai District.It has 3day and 5day Pass. I have used this in Osaka and in Kyoto. Very useful. I will definitely using upon my return to Osaka. I never thought that using Kansai Thru Pass was this easy. I do recommend this for my fellow traveller like me. It can easily used in Kansai District.It has 3day and 5day Pass. I have used this in Osaka and in Kyoto. Very useful. I will definitely using upon my return to Osaka. Buying from Klook was a ease + the price was slightly cheaper as compared to other websites. Redemption at airport was easy and almost instantaneous, all you had to do was show the QR code from your Klook receipt. The pass included free train & bus rides for Kyoto and Osaka, so we didn't need to worry about spending too much on transportation and didn't need to keep buying tickets at every station. Definitely recommended if you intend to take public transport a lot. Buying from Klook was a ease + the price was slightly cheaper as compared to other websites. Redemption at airport was easy and almost instantaneous, all you had to do was show the QR code from your Klook receipt. The pass included free train & bus rides for Kyoto and Osaka, so we didn't need to worry about spending too much on transportation and didn't need to keep buying tickets at every station. Definitely recommended if you intend to take public transport a lot. Kansai Thru Pass is a great pass when traveling around osaka kyoto nara and kobe!! Very accessible because you can travel unlimited rides via subway!! You dont need to line up and buy train tickets!! Just insert the ticket in the ticket slot and you can use it wherever you want to go. No hassle if you mistaken to ride the wrong train. Its unlimited ride so use it as many times as you want. Kansai Thru Pass is a great pass when traveling around osaka kyoto nara and kobe!! Very accessible because you can travel unlimited rides via subway!! You dont need to line up and buy train tickets!! Just insert the ticket in the ticket slot and you can use it wherever you want to go. No hassle if you mistaken to ride the wrong train. Its unlimited ride so use it as many times as you want. This is the best booking I have made so far in Klook! It was aaaaaall worth it! Best value for money, I can say! We booked the 2 day pass but I realized I would have saved more had I gotten the 3 day pass and sort of skipped the Osaka Amazing Pass. But nonetheless, this is definitely a must buy for travelers to Kansai! I got to use this for both trains and buses with no problems at all. This pass is honored in more railways than the Osaka Amazing Pass - got to go around Kyoto, Kobe, Nara, and Osaka with just this! Claiming of the tickets is just effortless and I really think I got more than what I paid for. I am purchasing this again from Klook when I come back to Kansai. This is the best booking I have made so far in Klook! It was aaaaaall worth it! Best value for money, I can say! We booked the 2 day pass but I realized I would have saved more had I gotten the 3 day pass and sort of skipped the Osaka Amazing Pass. But nonetheless, this is definitely a must buy for travelers to Kansai! I got to use this for both trains and buses with no problems at all. This pass is honored in more railways than the Osaka Amazing Pass - got to go around Kyoto, Kobe, Nara, and Osaka with just this! Claiming of the tickets is just effortless and I really think I got more than what I paid for. I am purchasing this again from Klook when I come back to Kansai. Q: Do I have to use the pass on consecutive days? A: No. The pass does not have to be used on consecutive days, you can use in on any 2 or 3 days within the validity period. Q: Who is eligible to purchase the Kansai Thru Pass? A foreign tourist visiting Japan from abroad on a short stay entry status. Q: Can I use the Kansai Thru Pass to take all the trains and buses in the Kansai region? A: No. There are many types of buses and private rail lines that are not covered by the Kansai Thru Pass including limousine buses, highway buses, midnight express buses, and the USJ shuttle bus. When traveling via limited express train on the Nankai, Kintetsu, Semboku Rapid, or Keihan Railways, please note that you must purchase a separate limited express ticket together with a special compartment ticket or a reserved seat ticket. Please refer to the official website for more information. Q: Do I have to use the pass on the same day I purchase/pick up the pass? A: No. You can purchase and pick up the pass in advance. The pass can be redeemed within 6 months from the booking date and used on any 2 or 3 days within the validity period.